You can also vote in your local election and host a Fossil-Free House Party. Take Action Now gives you three meaningful actions you can take each week whatever your schedule. You can sign up here to get these actions in your inbox every Tuesday. If you do nothing else today, vote! Key elections are being held across the country, including gubernatorial races in Virginia and New Jersey, state legislature races in Washington and Georgia, and mayoral races in New York City and Atlanta. Local and state elections are all about turnout, and this year is no exception. In most states, polls stay open until between 7 pm and 9 pm. If you have questions about what you need, use Rock the Vote’s guide to look up voting information in your state, then head to the polls! Republicans in the House and Senate are trying to fast-track passage of their “tax reform” plan by the end of the year with no Democratic support. 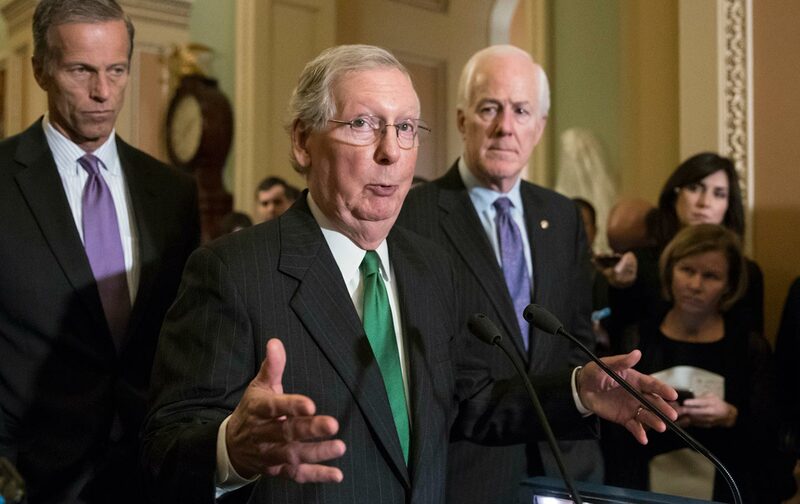 Not only do most of the benefits of the plan go to the ultra-rich, Republicans will almost certainly use the resulting deficit increase to justify gutting programs such as Medicare, Medicaid, and public education. Members of Indivisible have planned rallies, town-hall meetings, and other protests this week to demand that Congress reject this destructive plan. Find an event near you here and join them. If you can’t make it, be sure to keep calling your representatives at 202-224-3121. While the Trump administration continues to deny that human actions are warming the planet, people across the country are demanding action from their states, cities, and universities. Join the movement by organizing a Fossil-Free House Party in your area. Using a guide created by 350.org, you’ll gather with friends and neighbors to discuss how to launch a local campaign seeking a “Fossil Free Resolution” committing to 100% renewable energy and no new fossil-fuel projects. 350.org will help you with the party and with next steps to get your campaign off the ground. Check out the guide here and sign up to host a party here.